I was disappointed in myself for missing a couple of days of blogging. I’d like to think I kept my gratitude promise by writing for those days today but I know it’s not the same thing. It shouldn’t matter that I published the blog a couple of days late because it was never about posting every day or proving I can write 365 blogs. 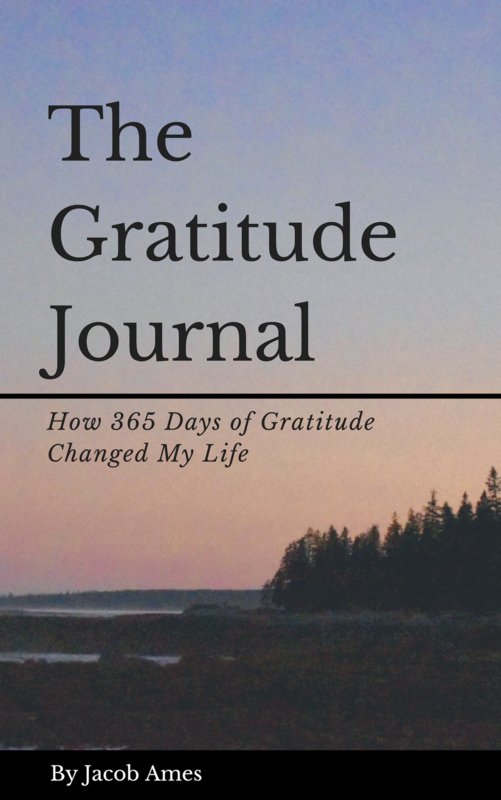 I didn’t start writing about gratitude to quantify a list of things I have. It’s not about the stuff on the list, or how many there are. It’s about the feeling each list item brings. So that’s why I’ll keep writing about gratitude. I believe in the power of thankfulness and hope sharing mine can inspire more. I recognize I hold a lot of privilege in my identities and opportunities. Sometimes preaching gratitude feels like I’m just simply advertising my advantages. I think like every feeling or emotion, we all feel it differently. The way I feel and express gratitude will be different than how others do the same. Albeit small, I want to use this platform to bring positivity into this world and inspire others any way I can. Featured image is my own this time! A silhouette I took on the beach in California. Truly, a great day. Featured image of a brick building in NY. Grateful for my internship with Swift Kick and my sister for letting me stay with her. You don’t always have to be so hard on yourself, even when you fail. Be grateful for the opportunity! Saying “try, try again” exists for a reason and sometimes we don’t get things right the first time. That includes how we treat others. Giving people a little bit of grace and time to fix a mistake may just result in some gratitude coming your way. Be patient with your process and theirs. I’m not a huge fan of April Fool’s Day and I managed to make it without being pranked all day! Featured image of the mouth to a small lake. One of the hikes I did this past summer with Lucas and mike. Featured image of my Uncle exploring the beach in Malibu. I’m grateful he’s been coming home and taking care of his mom, my grandma. She really appreciates it. Today was far from just another day. You’re alive. You’re breathing. There’s a lot to be grateful for. Featured image, Matador beach at sunset! The end to a pretty great day. Nothing like the ocean breeze. Dreams and aspirations can feel heavy when it doesn’t feel like we’re making any progress. It’s why people drop their expectations and start to give up on their goals. There’s no magic word or phrase I can use to motivate you but I can remind you to be patient. Take it one day at a time, remember to breath, and you’ll get there. Speak it into your existence and remind yourself what you’re working for. Be present for each moment and just see what happens. Featured image, my friends and I spent the day at the beach and were greeted by a cool breeze and a bright blue sky. We walked that beach for miles! Tonight is my last night in Los Angeles and there is a lot to be grateful for. Each day was beholden and full of new learning, new experiences, and new people. This was so far from what I expected when I got on a plane two days after booking my flight and planning my trip. I need to thank my Uncle Jeff and Karen for letting me stay with them for this amount of time. Typically, I only see my Uncle on Christmas so spending this time with him and connecting with my family has been incredible. Karen has been such a bright light and we have had numerous conversations about life and spirituality that I will remember and appreciate. I want to talk about reflection because it is an essential part of learning. You don’t need to journal daily or write a blog about your day, but it is important to think back on experiences you’ve had and what you took from them. Maybe those instances did align with your expectations, maybe it was completely different similar to my situation. Whatever it was, learning happens when we go over what was presented. It almost is like homework for yourself in a sense to remember everything that happened in a day but can be crucial to your own development. I got to do so many cool things this week in LA and will definitely be making time to come back and visit again. We meditated every morning, I tried new foods and drank more tea. I was open to new experiences and because of that, I felt like I got more out of the trip. There were times my Uncle and I didn’t see eye to eye but we were both spending real time together for the first time in our lives as adults. There are things I’m going to hold on to and bring back to Massachusetts that I want to share with my friends and staff. I’m grateful for so many conversations that changed my perspective and opened my mind. Tomorrow I head back to Massachusetts to start up my second semester of Graduate School. Going to LA for a week was a great escape but I am excited to come home. In many different ways, my 2018 starts again. I’m excited about the new opportunities and challenges with my staff, with my family, and with my friends. I’m excited about new learning and fun memories with all of those same people. I just have to remind myself to be patient and take it all one day at a time in the process.